This short story collection contains two short stories that are not just my favourite Hemingway stories but two of my favourite short stories by anybody. So, this look at Men Without Women (1927) will be less of review, more in praise of Ernest Hemingway’s style and its effect on my own writing. 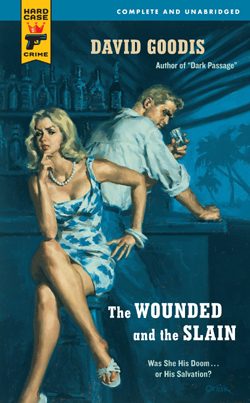 If you don’t know Hemingway’s style then this, his second collection of short stories, is an excellent place to start. There is a tonne of critical work and essays about Hemingway’s style that’s much more educated than this. To me, Hemingway’s style is short sentences, simple words, repetitive dialogue, and packing a hell of a punch. For me, the pinnacle of this is the story ‘Hills Like White Elephants’. I try to reread that story every couple of months just to remind me of how much I admire it. I can remember first reading ‘Hills Like White Elephants’ some years ago for my Creative Writing class. On first reading I thought, ‘Huh?’ Then got what the story was about. I reread and it and that was it. It all fell into place. All the tension and action is under the surface and in the subtext. It’s a story about an abortion but the word ‘abortion’ is never mentioned once. That has had a great impact on me. One of the few rules I try and write by is to decide what the story is about and then try not to mention in the story. I hope that if I write well enough it should be apparent. I think I’ve achieved this twice, maybe three times. Still, I keep trying. There are stories in the collection I think don’t quite hit the mark. I didn’t really get ‘Che Ti Dice La Patria?’ which I think realises too heavily on knowledge on the politics of Italy in the period before World War 2. That may just be me, though. The best praise I can give the book is that as soon as I finished it I started Hemingway’s next collection of stories, Winner Take Nothing (1933). I preferred Men With Women, but Winner Take Nothing had some brilliant stories- ‘A Clean, Well-Lighted Place’ and ‘Fathers and Sons’. My copy of Hemingway’s The First Forty-Nine Stories (1938) is one of most treasured books. It was a Christmas present from a great friend and contains the majority of Hemingway’s published stories. Hemingway at his best is a great read. Like so many others, Ernest Hemingway has been a big influence on my own writing. But the trick is to not to imitate him. Nobody can write like him. I just try to learn what I can about his techniques and apply them to my own stories. I can only hope I am successful without been derivative.